Looking to add a good set of steak knives to our wedding registry. Anyone have a set they really like? I realize that Shun gets laughed at by knife purists, but they've been outstanding for the 10 years we've used them. They are essentially like new. We sharpen them about once per year and hone them about every month or two. They will likely outlast us and we have 30+ years left if things go right. Thanks for the recommendations guys. I should probably have given a price point of around $200 for a set. While I love those knives I just don't realistically see anyone purchasing them as a gift with prices like those. Closer to your budget... Wife and I had a great dinner at a steak house in Chicago. She loved the knives. I tracked them down. We love them. Very happy with these. Very sharp and non serrated so can be rehoned. After I stated that I was planning on stealing a knife each visit to the Capital Grille, TW purchased as set for me from them. I have no idea what the price was, but it could not have been too outrageous or she would not have bought them. Great heft and hand feel. The only negatives are that the front half of the blade is serrated and the logo is lightly etched on the blade. Though when they need sharpened it will be a simple matter to grind them to a non-serrated edge. These things are built like tanks and will easily last my lifetime and beyond. I'd never use their knives for food prep etc, but Cutco's steak knives work really well. the Zalto of steak knives. those look amazing. i need to find out what they're using at The Grill here in NYC. not as elegant - more steak house style, but gorgeous and likely pricey. That aluminum chip design is badass. Do they come as a set of 4 or priced per knife? Barry Paul Price wrote: Closer to your budget... Wife and I had a great dinner at a steak house in Chicago. She loved the knives. I tracked them down. We love them. Dave McCloskey wrote: Do they come as a set of 4 or priced per knife? One knife is priced like a set of four. Rob, that is sooo KKF. Schweet. Wow. For the man who has everything, a set of $500 apiece steak knives? Just beautiful though. Go to his site and read what the handles are made of, ebony and carbon dated 7260 year old bog oak? Michael Sopher wrote: Very happy with these. Very sharp and non serrated so can be rehoned. Picked up a set of these based on your and the Amazon reviews. Very nice for the money. Way beyond what I could afford, but I still would like some info on them. 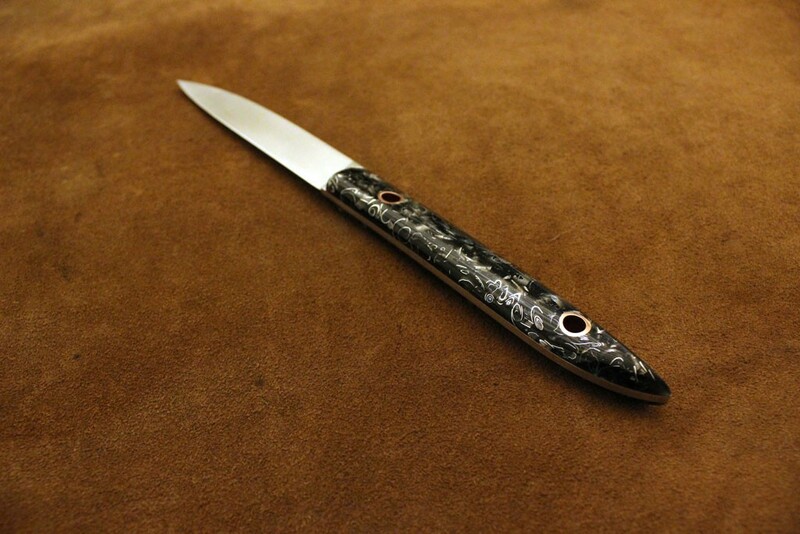 we have a set of the Perceval 888's "the Meat Knife". Blade is a little longer than the 9.47 same price. I vote for the Henckels Four Star. Four for about $180. Or the Henckels International Classic. Four for about $85. The former are made in Germany. The latter are made in Spain. I have some of both. No serrations. I ordered a set of 12 & carving set in Curly Koa wood/Ebony Bolsters & Japanese Damascus pattern stainless (VG10 & powder metal die steel ,Yu Kurosaki of Takefu, Japan), with presentation box. 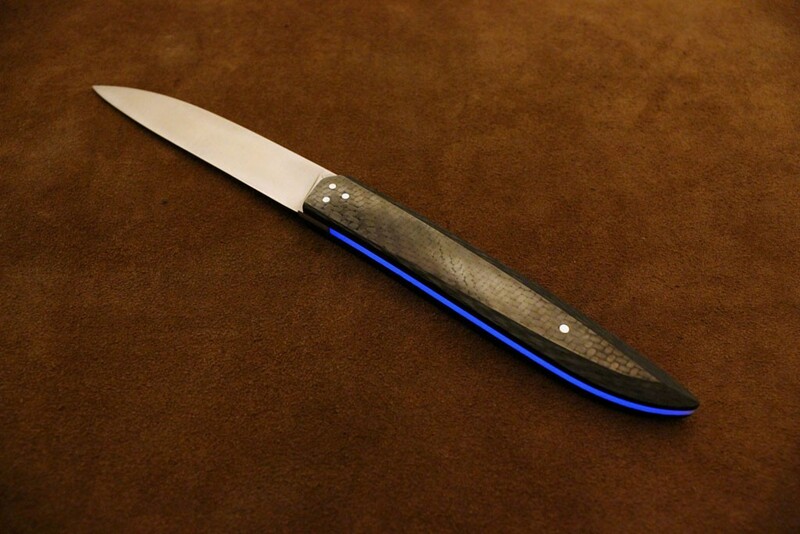 "There was a member wanting to know who made the knives they use at The Grill in New York City. Those are also made by Gregg and are R2 powder metal die steel."